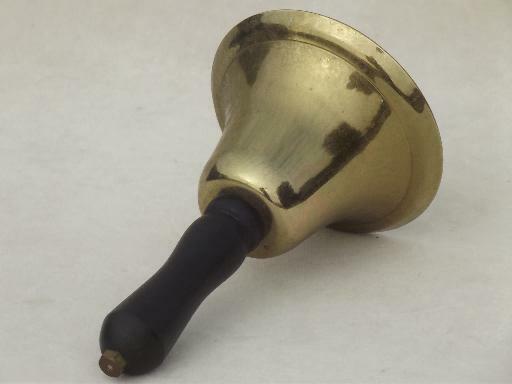 Old steel school house bell with a sturdy wooden handle - this would make a good dinner bell, too! 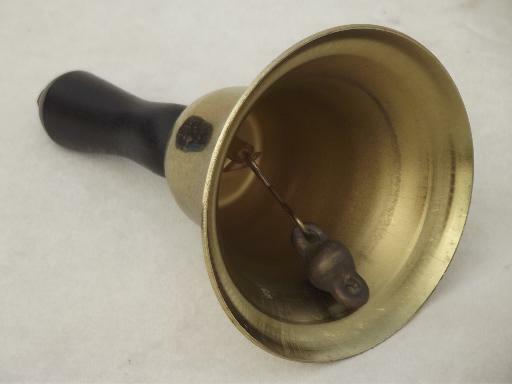 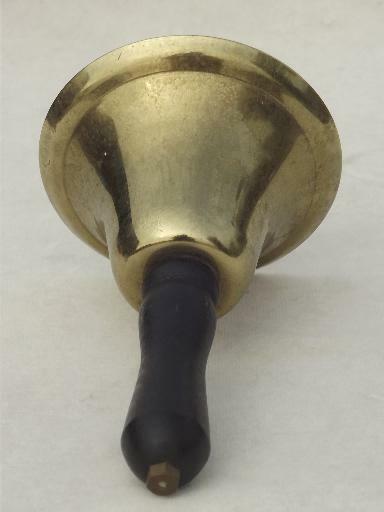 The bell is 3 1/2" in diameter at the rim, and stands about 5 3/4" tall overall. 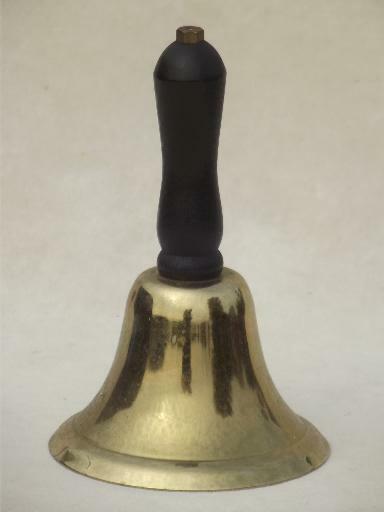 The finish is a little worn, but the bell has a nice clear tone.